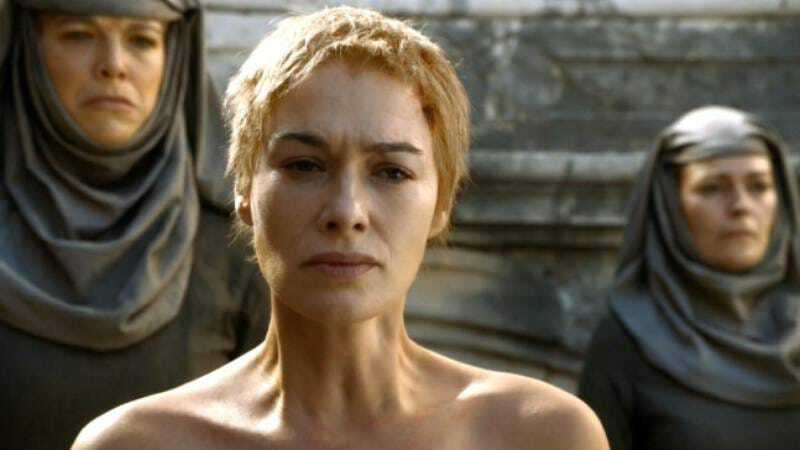 When Cersei Lannister took the ultimate and literal Walk Of Shame through King’s Landing, she was greeted by a mob of people eager to mock and hurl insults at the disempowered former queen. Some were also eager to share more than harsh language, offering up their bodies in a lewd manner to underscore their contempt for the confessed adulteress. As they break from the crowd to flash their unkempt naughty bits at Cersei, people with too much time on their hands probably wondered, “How’d they find that guy?” Turns out, with an urgent emailed casting call that broadly outlines what would be expected of the featured extra. So if one is an actor and/or big fan of the show, this is clearly the perfect gig. You know you have a line, you “will not be alone,” and there will be no need for manscaping. All that—plus travel expenses!—will be taken care of, so really, not a bad day for men eager to flash their penises on one of the most-watched shows currently airing on television.